Over the past 2 days I have discovered a few new startups that are creating some buzz, and decided to try them out and share them with you. Curious to your thoughts on these! ALL YOUR FILES, ON ALL YOUR DEVICES, ALL THE TIME. WITHOUT SYNCING. WE DON’T STORE YOUR DATA ONLINE. WE CAN’T SEE YOUR DATA OR ACCESS YOUR FILES. Younity is one of the finalists for Best Mobile Technology at the 2013 SxSW Interactive Festival. In essence Younity is a cross platform cloud service, without an actual cloud, that allows you to share files between all your devices. I personally believe this has quite some potential, as privacy issues become more top of mind for people services like this try to bridge the gap between the benefits of digital technologies and the increasing need and consciousness about privacy. I have been playing around with the app on my WiFi network, and its fast, clean and works like a charm. For me its a keeper. Hater – Share the things you hate with the people you love. “Get rewarded by expressing yourself” sounds pretty catchy right? Yappem is a service that rewards you based on the comments you share with your friends about products and brands you like and dislike. Now although I understand the good and fun sides to this, I mean, who doesn’t want to earn a little by just tweeting? It does bug me quite a bit. We have seen quite some services pop up that try to use you as an advertising channel towards your family and friends. This service lets you even monetize your family and friends. I cant help myself by thinking… do we really want this? Does this make us better people? Do I want my mum to advertise stuff to me? Or even worse, an old school mate I have friended on Facebook out of courtesy? Personally I don’t like these type of services that commercialize us as people towards our friends and families. It feels ethically wrong to me. What do you think? 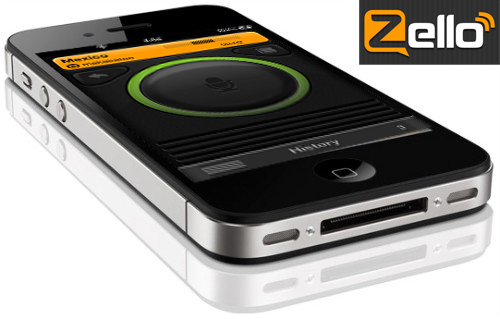 very intrigued with Younity, and perhaps the Zello since I have a large family. however not a fan of negativity or spam so the other two do not appeal to me at all. Hi Jenn, well as you could tell from my quick review I feel the same as you about those two apps. but curious indeed how others feel. Thomas, Thanks for posting about Yappem. My name is Dave Sachse (Sox-see) and I am one of the founders at Yappem. Our vision is to empower and reward the voice of the customer. We are striving to make users become more educated customers based on experiences their friends and family have had with businesses, brands and products. Conversely, we want to help businesses and brands evolve and better understand their customers experiences & unmet needs. We believe that is largely due to existing social platforms not originally being designed for sharing brand/product experiences but rather personal life moments with friends and family. Yappem is not about your Mum or other family advertising to or monetizing you (as existing social platforms may do), but rather assisting you in making better decisions as a customer and getting rewarded for it in a fun and creative way. Feel free to contact me anytime as I would be happy to discuss further. For more info you can find me at http://dsox.com/ or my direct email I provided to post this comment. Great to add your perspective and I am keen to learn more about it. I want to try out the service and learn for myself how it works. At the first glance it felt like advertising to your family and friends which is why I made the comment. There are so many services out there doing just that, which personally I am not very fond of. What would you say is the 1 key aspect that doesnt make this intrusive to friend & family of a Yappem user? I assume Yappem has a cross posting feature to Facebook, Twitter etc right? Thomas, sorry I did not get back to you sooner. SXSW was a great experience for the Yappem team and we are now back to normalcy with it still snowing in WI! One of the key aspects of Yappem is that we give users the ability to control their user experience and content on Yappem. For our activity feed, we have filters that enable users to view content from countless vocal customers (by viewing All Yappem Activity) or as little as a few of their favorite individual friends and family. We do not try to make an algorithm that attempts to predict who a user wants to view content from. Yappem users are mainly rewarded for their activity on Yappem, not primarily for sharing to existing networks as so many services out there are indeed doing that. We actually strive to improve user experiences on existing social networks by offering a dedicated platform for daily, individual brand interaction & expressing your customer voice. With that in mind, we have features that allow Yappem users to share their posts to Facebook & Twitter (more coming soon) networks if they deem their experience was that memorable that they wanted to share to those networks. My dream is to empower and reward the voice of the customer. I envision helping brands better understand the evolving needs of their customers so they avoid the unfortunate & disheartening fate of companies like Blockbuster. Thanks again Thomas for the mention and nice chat here, I hope I have provided some clarity but would be interested to hear more about your user experience on Yappem :). Yappem is available in the Apple App Store and Google Play! Try it out, the fun has just begun as we listen to what our users say to strive to get better each and every single day. Thanks!